The lawyers of paralympian Oscar Pistorius have filed papers opposing the State's application to appeal his culpable homicide conviction and sentence. 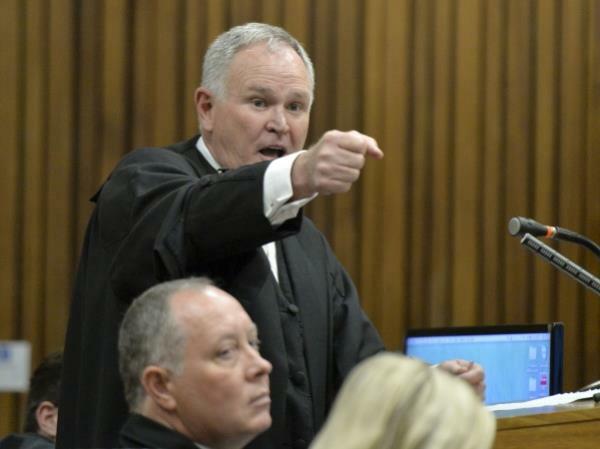 In papers filed this week, posted on broadcaster eNCA's website, Pistorius' lawyers argued there was no error of law when he was sentenced to five years in prison for the culpable homicide of his girlfriend, law graduate and model Reeva Steenkamp. He shot her dead through the locked toilet door in his Pretoria home on February 14 last year. For discharging a firearm at Tasha's restaurant in Sandton, Johannesburg, in January 2013, Pistorius was sentenced to three years in jail, suspended for five years. The sentences would run concurrently, Judge Thokozile Masipa ruled in the High Court in Pretoria on October 21. "22. The Honourable trial Court correctly applied the law to the facts, and found that the State did not prove an intention to kill and did not prove dolus eventualis beyond a reasonable doubt. "23. The factual finding by the Honourable trial Court that the Accused did not fire the shots with the intention to kill, in any event, with respect negates any possibility of a conviction on the basis of dolus eventualis. "24. It is respectfully submitted that the principles enunciated in our case law with regard to dolus eventualis are clear. The trial Court's exposition of legal principles relevant to dolus eventualis in relation to facts found by the trial Court, is in accordance with case law..."
On October 27, the National Prosecuting Authority said it would appeal Pistorius' culpable homicide conviction and the sentence he received. "The appeal on conviction is based on the question of law," spokesman Nathi Mncube said in a statement.